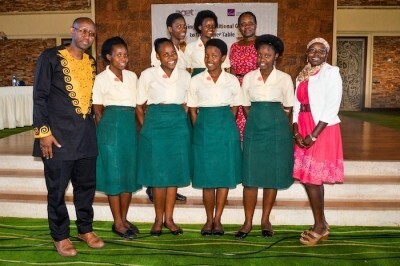 ACET for Africa and the Pardee Initiative held a second Superfoods Cookery Contest at the Golf Course Hotel in Kampala, Uganda, on April 29. Once again, over UGX 5,000,000 in prizes were awarded in 4 categories: professional chefs, foodies, and professional and student innovators. The professional chefs participated in a superfoods cook-off similar to the TV show America's Top Chef. They were allowed to choose their ingredients and then told to prepare a starter, main course, and dessert. 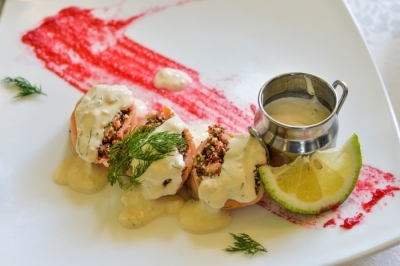 The creative recipes they prepared included smoked salmon roulade, millet swiss roll with millet jelly, and tuna sorghum and millet timbale. 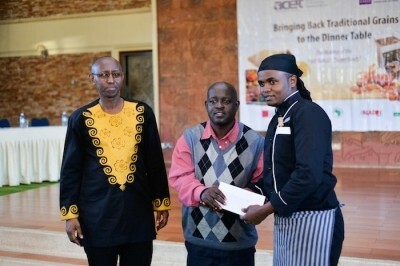 Professional chef Emmanuel Njege won the award for Best Overall Professional Chef. He prepared a smoked salmon roulade appetizer; a bacon-wrapped chicken breast stuffed with red pepper, mozzarella cheese, and sorghum grains on a pea puree and garlic mash for the entree; and, for dessert, a millet and sorghum berry trifle. 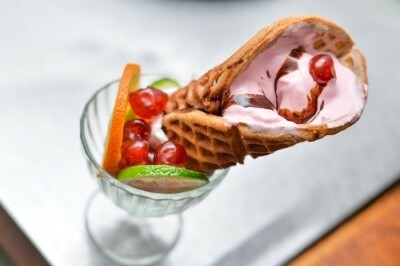 Other professional chefs displayed their creativity in the contest. Winner in the Best Starter category was chef Susan Katto, who prepared a tuna sorghum and millet timbale, with millet and sorghum spinach soup. The Best Main Dish award went to chef Tobais Okumu, who made a millet crepe filled with eggplant. And the Best Dessert went to chef Joseph Ajeni for his millet swiss roll and millet jelly. 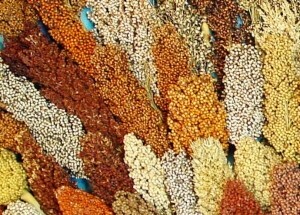 What's So Special About Millet and Sorghum? Traditional grains have been losing market share to new grains—especially maize, rice and wheat. Yet traditional grains are more nutritious and well adapted to Africa’s agro-ecological conditions. More importantly, with the prospect of climate change, these grains can be key to adapting to this future; they are drought tolerant. Making these grains popular is therefore important for improving food security and nutrition security now and in the future. Our project and competition have been in the news throughout East Africa. Here are a few links. Blog: Traditional Grains—Can You Cook?